I admire my mother’s strength, who brought me up all on her own. 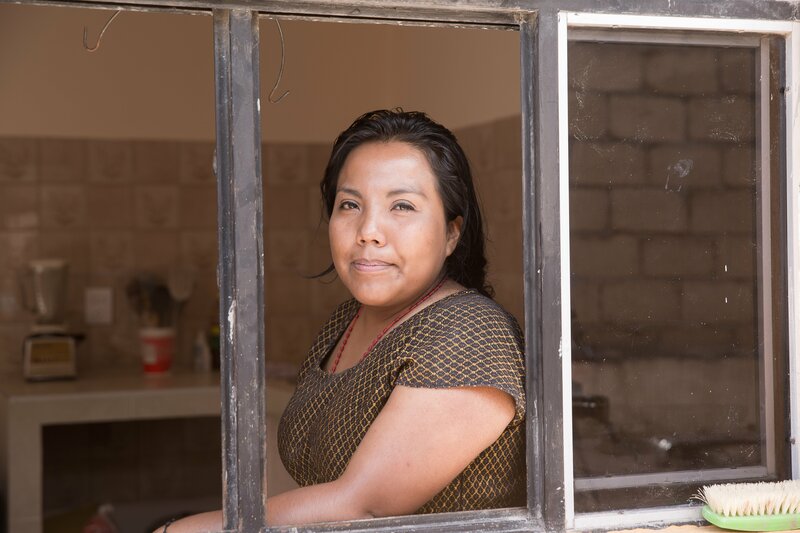 I never met my father, but my mother’s hard work and suffering has inspired me to search for a better future for women here in Oaxaca. Growing up, I spent most of my time alone, because my mother had to work in maquilas in order to support us both. It was difficult, especially because I became aware that many children my age that were left alone by their mothers, would also be abused or taken advantage of. All of these experiences led me to study law at my local university, and I want to use my practice to protect children from this suffering, and also find a way for mothers to safely provide for their family, without having to put their health at risk as my own mother did. 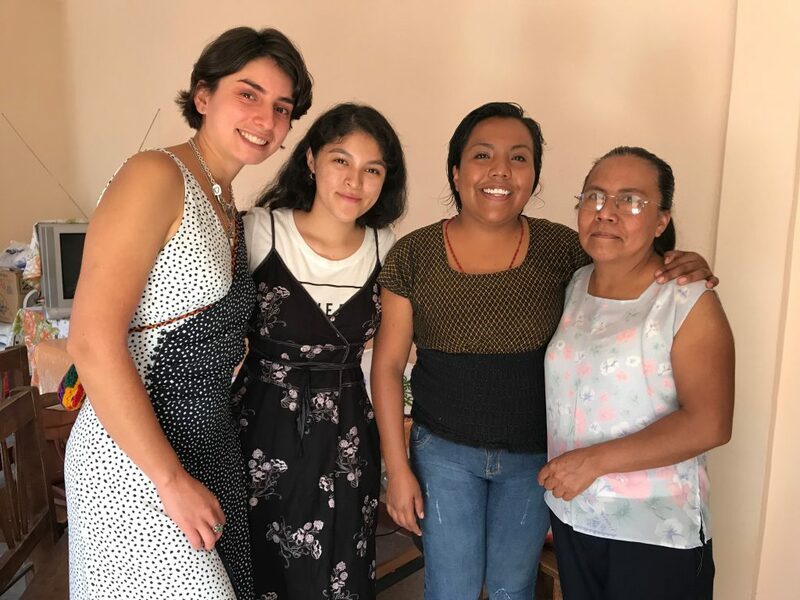 Mutual excitement shared between Veronica, her mother and 2018 Remake Mexico team members. Just as I have had the opportunity to find my voice and search for a way to fight for my right as a “Mexicana,” I hope to make other women aware of their worth. Unfortunately, in the culture of our country, women are taught to be submissive and not stand up for themselves. Men only enforce and take advantage of this situation which produces extreme inequality. Because women are brought up this way, they have no knowledge or curiosity to make themselves their own person, without feeling any less than a man. 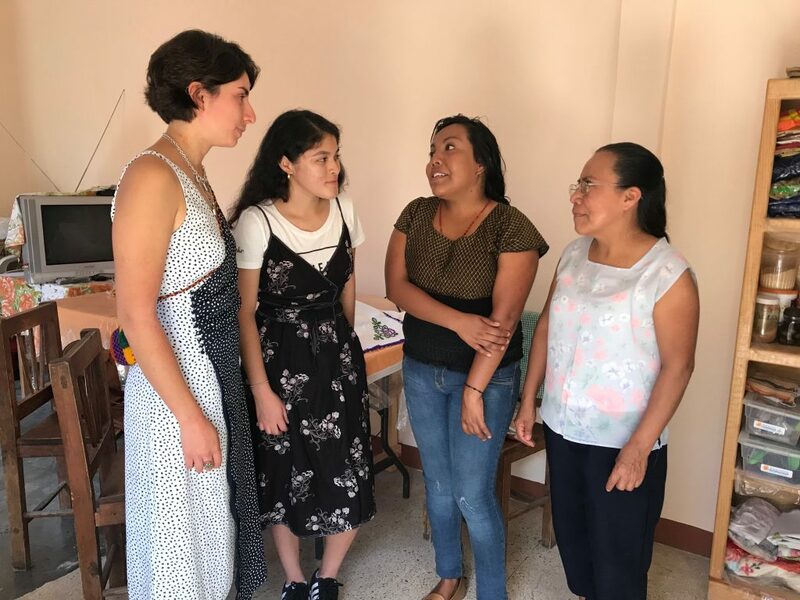 Veronica alongside her mother, in there Oaxaca city home, speaking with CCA students Yesenia and Sajita of the changes she hopes to see in the future for Mexican Women. I want women to have more value in this country on their own accord. To not feel that their only way of life is to be a mother and work in unsafe conditions. Or to think that men have a final word over women and their rights. Together, we can be strong and make a difference for the future of women in this country.